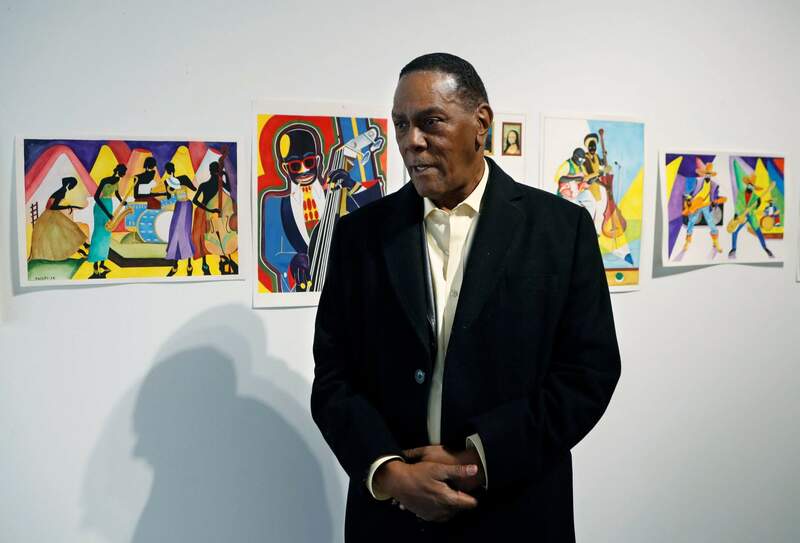 Richard Phillips stands next to some of his artwork Thursday at the Community Art Gallery in Ferndale, Mich. Phillips was exonerated of murder in 2018 after 45 years in prison. Lawyers say he should be entitled to more than $2 million under Michigan’s wrongful conviction law, but the state so far is resisting. 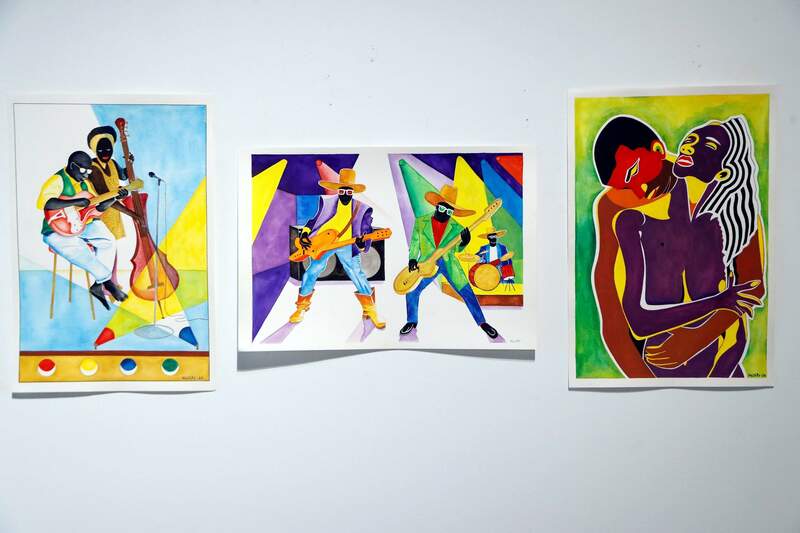 So Phillips, 73, is selling some of his 400-plus watercolors he painted in prison. FERNDALE, Mich. – Richard Phillips said he didn’t mope much during the 45 years he wrongfully spent in prison. He painted watercolors in his cell: warm landscapes, portraits of famous people like Mother Teresa, vases of flowers, a bassist playing jazz. Phillips could be eligible for more than $2 million under a Michigan law that compensates the wrongly convicted, but the state so far is resisting and the matter is unsettled. So he’s displaying about 50 of his more than 400 watercolors at a Detroit-area gallery and is willing to sell them. Phillips is showing his work at an art gallery inside Level One Bank in Ferndale, a Detroit suburb. “Are you the artist? God bless you. Beautiful,” a bank customer said while admiring a painting of five musicians last week. A selection of artwork by Richard Phillips is displayed at the Community Art Gallery in Ferndale, Mich. But a cramped cell isn’t an art studio. Phillips said prison rules prevented him from keeping his paintings, so he regularly shipped them to a pen pal. Wayne County prosecutor Kym Worthy supports Phillips’ effort to be compensated for his years in prison. Michigan’s new attorney general, Dana Nessel, is reviewing the case. It’s complicated because he has a separate disputed conviction in Oakland County that’s still on the books, said spokeswoman Kelly Rossman-McKinney. “To suffer what he has suffered, to still be able to find good in people and to still be able to see the beauty in life – it’s remarkable,” she said.